Mayur Kamat, the product manager of Hangouts and Google Voice, shared some non-Hangouts 4.0 news with us this morning that still should bring some of you some pleasure. 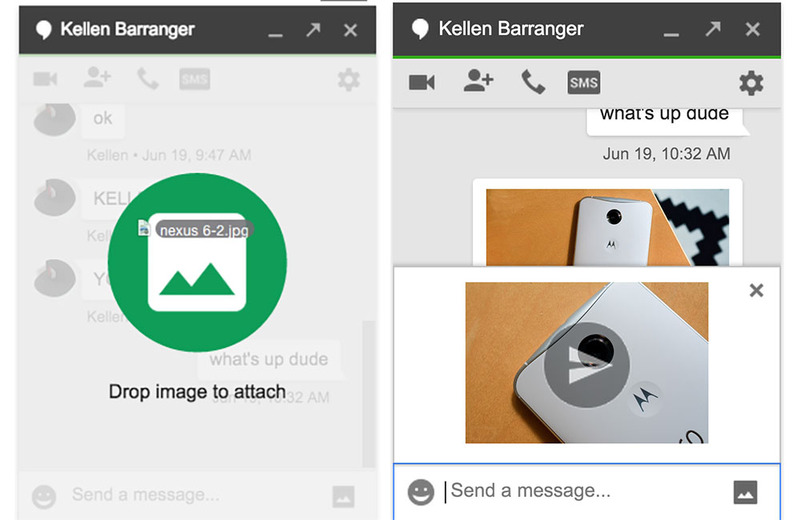 You can now drag and drop photos in Hangouts conversations in Gmail and the Chrome extension! I’m trying not to overdo my excitement here, but if any of you have ever tried to share photos in a Hangouts conversation, you know that this is a big deal. Before today, if you dragged a photo into a Hangouts conversation, it would wipe out your entire page, replacing it with a massive preview of that image in your browser. In order to share, you had to tap the little photo sharing icon, then drag and drop to that window. It was tedious, at best. Sooooo, as Kamat mentions, all you need to do is refresh your Gmail or reload your Chrome extension and the drag/drop goodness should start working.